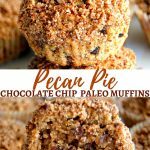 Paleo Chocolate Chip Pecan Pie Muffins. 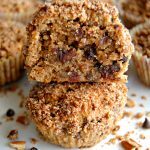 All the flavors you love from pecan pie in a muffin with a pecan crumble topping. Gluten-free, dairy-free and no refined sugar. One of my favorite holiday desserts is pecan pie. I love the salty pecans and ooey, gooey brown sugar filling. I also like to switch it up and add chocolate chips to my pecan pie – well, because chocolate makes everything better. My husband and I are trying to follow a Paleo diet to see if it will help improve some of our health issues. Paleo simply means gluten-free, grain-free, dairy-free and no refined sugar. So I have been experimenting with more Paleo recipes. Paleo grain-free baking is different than gluten-free baking, especially the texture. The texture of almond flour is much denser than baking with rice flour. I love how moist these Paleo Chocolate Chip Pecan Pie Muffins turned out. The addition of the chopped dates mimics the flavor of the brown sugar filling of a pecan pie. 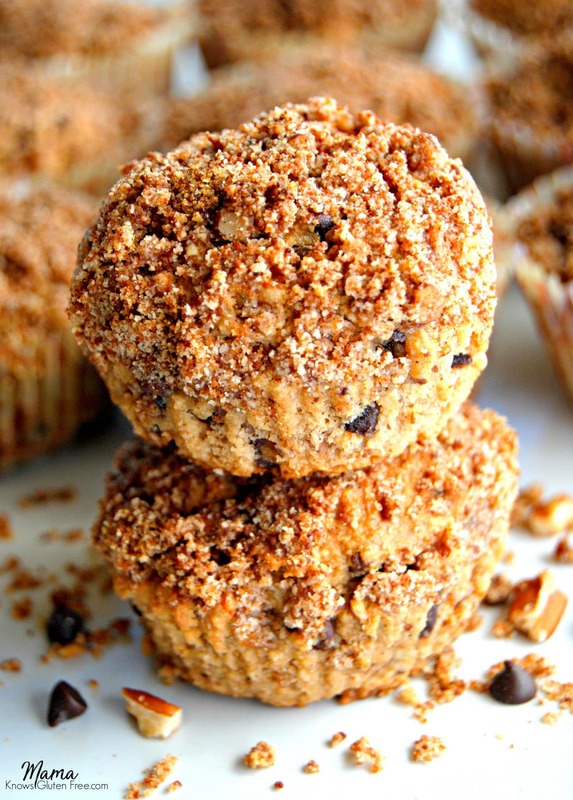 What makes these muffins over the top is the pecan crumble topping. I promise if you close your eyes while eating these muffins you would swear that you were eating pecan pie! I plan to bake these ahead of time and serve them for breakfast during the holidays. These muffins are not just for breakfast but are just sweet enough to be served as dessert. I am also planning on bringing them to a Thanksgiving party. 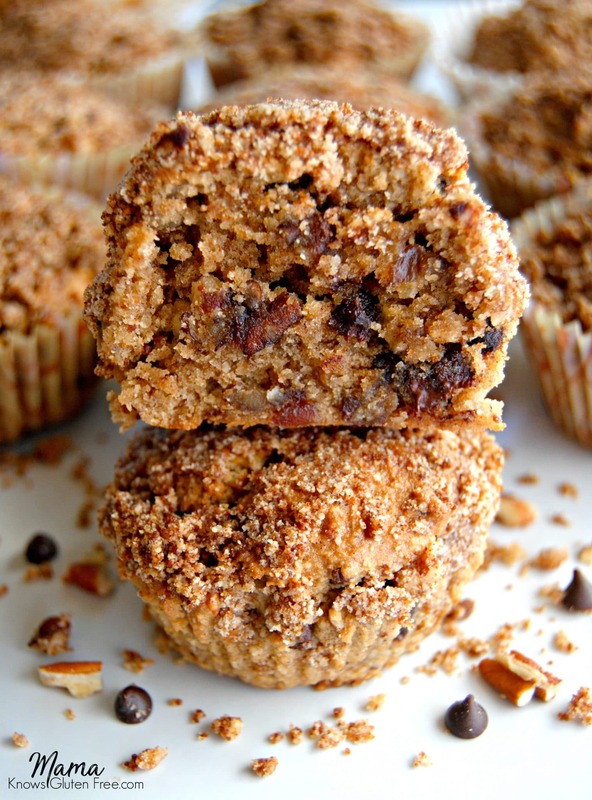 Recipe inspired by Paleo Pecan Muffins by Jay’s Baking Me Crazy. In a large bowl mix together eggs, maple syrup, cinnamon and pure vanilla extract. Add almond flour, salt, baking powder, and baking soda to the wet ingredients. Mix until fully combined. Add chocolate chips, chopped pecans and dates to batter until fully combined. Combine all the topping ingredients in a small bowl. Stir until fully combined. Sprinkle a tablespoon of the topping on each muffin. Store in an air tight conatiner. Mama says, "Check all of your labels!" Love the recipe! Wondering if the coconut oil is to be added to the wet when combined? Also if I am to add the baking powder to the dry ingredients? Both were listed in the ingredients list but not included in the directions. 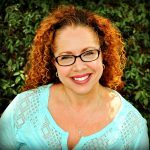 Thank you Andrea for the wonderful 5-star recipe rating. Thank you for catching that, yes add the coconut oil to the wet ingredients and the baking powder to the dry. I added it to the instructions. I am so happy that you love the recipe. That makes my heart happy.